Aboard the “Greenwood Guppy” we heard rumors of good crabbing areas near Seattle. Funnily enough, the tips came from some people working with Elizabeth Swann when she was in town. She is no longer a pirate. So we paddle out in the Guppy (the canoe in all of our pictures), drop our pots with bait like salmon heads and tails from Fresh Fish Co., and then go home. The next day, the pots were full of hundreds eleven crabs. The Dungeness (Dungies) have to be male and 6 1/4 inches. We tossed back a couple of small guys. We also released all of the females. 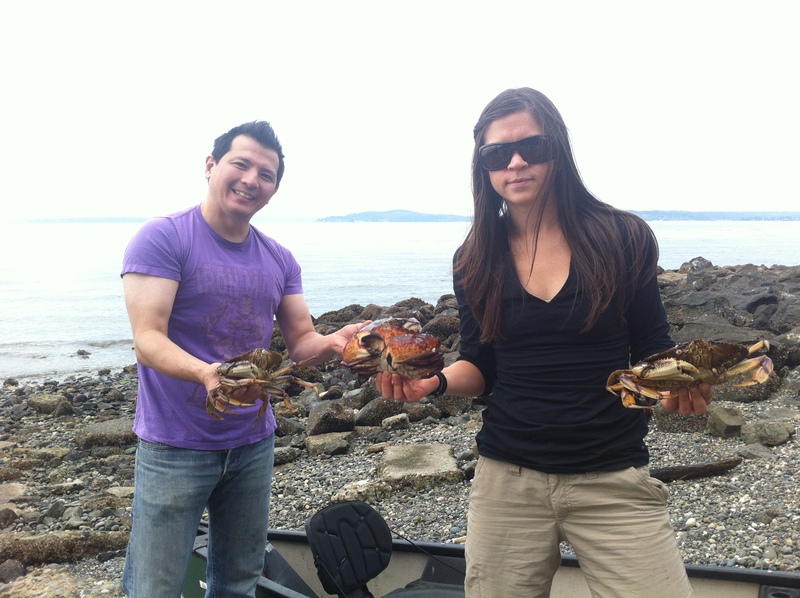 Chef Ed (I know a couple of those) is preparing the crab the same day that we caught them. Tomorrow, we are headed out to collect the pots again. It feels a bit like observing, except this time it is fun! 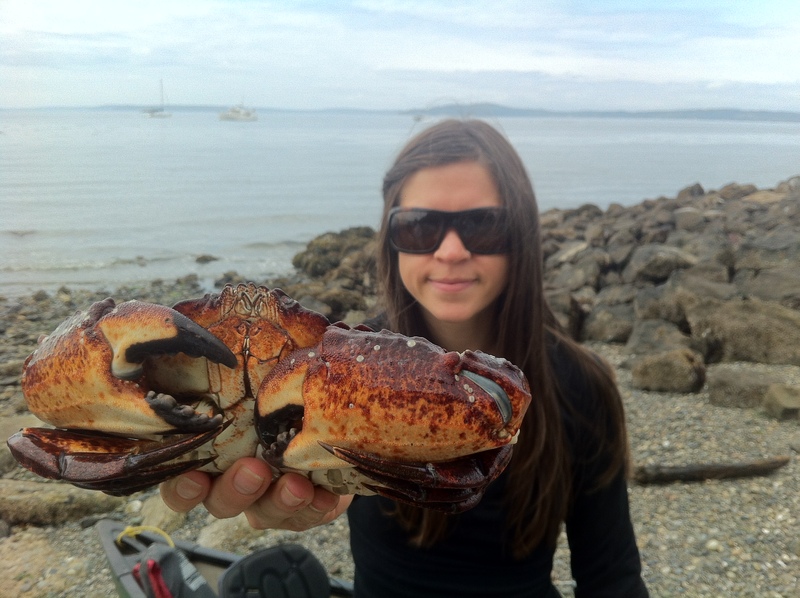 This entry was posted in Ballard, crab, eating, environment, exploring, Food, happiness, health, home, Homestead, hunting, life, lucky and tagged canoe, crabbing in seattle, crabs, dungeness, red rock crab, Seattle, washington by Rory. Bookmark the permalink.